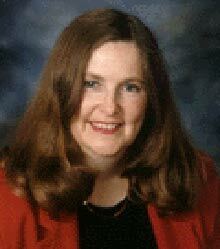 Kathleen McDermott is Of Counsel to ALG. Her practice concentrates on residential and commercial real estate, land use, administrative law, small businesses and start-up ventures. She advises clients on leases, contracts, loans, real estate transactions, and commercial and residential landlord-tenant issues. In her land use practice, she advises clients on code compliance issues and zoning matters. She represents homeowners and HOAs in challenging builders and developers who propose projects that would change the character of neighborhoods. She also defends home and business owners in code compliance challenges before the local boards of zoning appeals. Ms. McDermott began her professional career as an advisory attorney for the U.S. Department of the Interior and the Federal Energy Regulatory Commission. Thereafter, she joined the practice of a large corporate and energy law firm in Washington DC. In 1989, Ms. McDermott opened her own general law practice in Northern Virginia which concentrated primarily on real estate law and advising small businesses. She joined Alliance Law Group as Of Counsel when the firm opened in 2000. Kathleen graduated from Georgetown University with a degree in English and received her law degree from Georgetown University Law Center in 1984. Ms. McDermott has lectured extensively to industry groups in the field of real estate law. She teaches a class on landlording for Fairfax County Public Schools Adult and Community Education (ACE). Kathleen is the Chairman of the Board of Directors of the Greater Springfield Chamber of Commerce and serves as Chair of the Chamber’s legislative committee. She is a member of the Virginia and District of Columbia Bars.